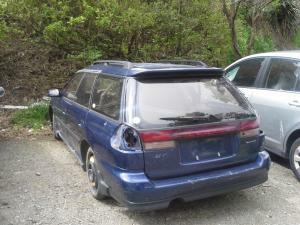 There has been an abandoned legacy station wagon in the reserve car park for about a month. The plates have been removed, rego is gone and wof is expired. The interior has been all ripped out, you can't really see this in the photo but all the carpet and stuff has been ripped up. The wheels have also been taken off and replaced with 4 space savers. We have little parking here as it is and it would be great to have another space.